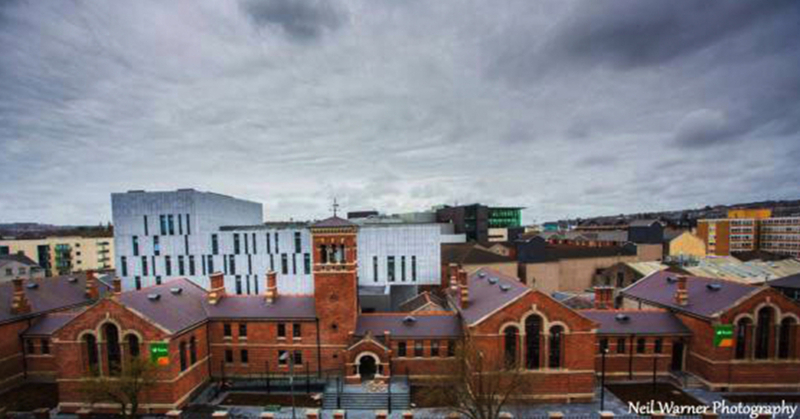 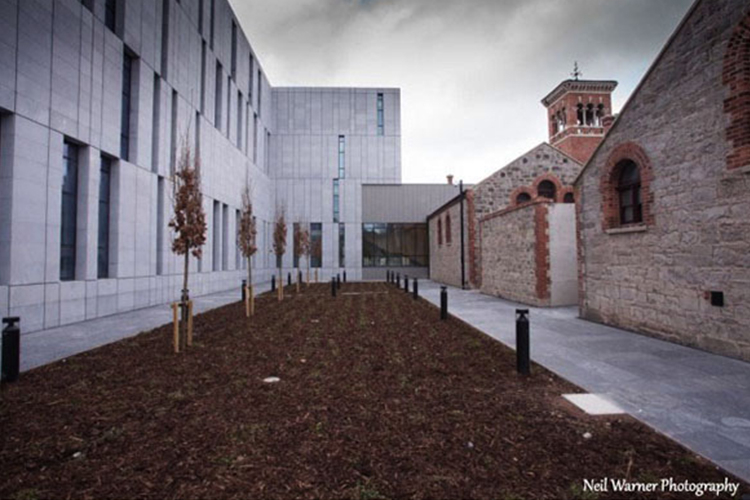 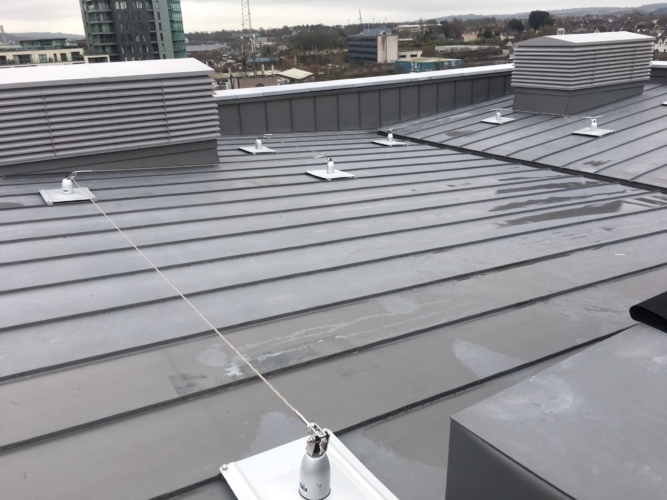 Part of the BAM Courts bundle, this project comprised of 1,325m2 VM Zinc Standing Seam on MetDeck roofing to the main extension. 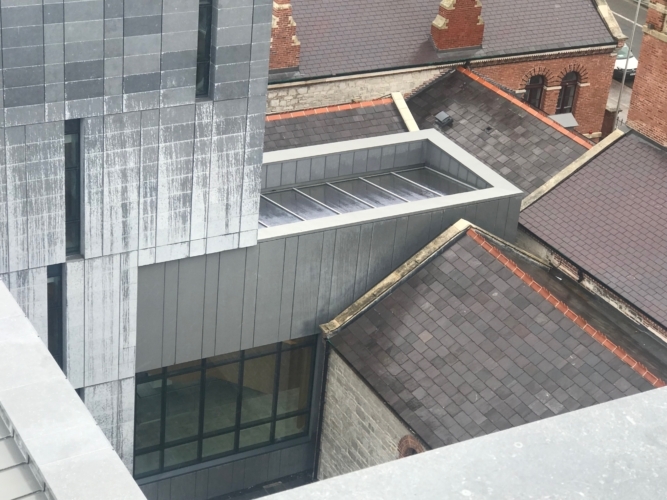 There was also 168m2 of VM Zinc composite cladding to the newly built connecting link building between the new and existing buildings. 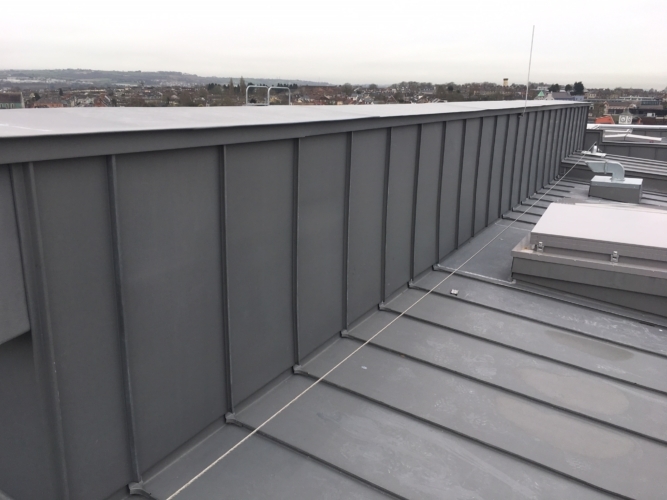 Quinn Roofing Solutions ltd. were also responsible for the Kingspan Insulated Panel Cladding to the sunken plant room.